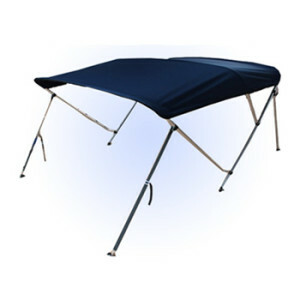 Best Bimini Tops Reviews A bimini top offers boaters effective protection from various extreme weather conditions, like rain or storms. It is also able to provide additional comfort from the bright sun. Boating can be exciting and a lot of fun. Some people enjoy racing through the water on their boats, while others prefer finding a place out on the open water and relaxing to their heart’s content. 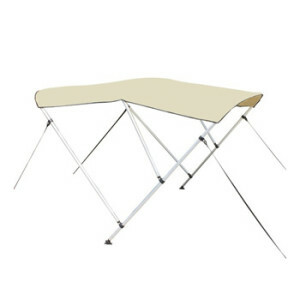 These days, bimini tops are on the list of popular marine accessories among boating lovers across the world. The most alluring advantage of bimini tops is the effective sun protection, but they are also used for other weather conditions such rain. 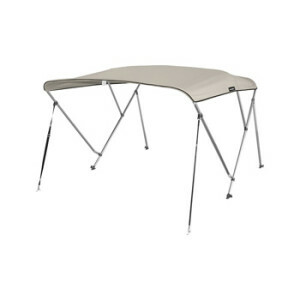 Bimini tops succeed in adding more comfort, safety and joy to your boating experience. Besides the benefits mentioned above, bimini tops make your boat look more stylish by coming in a variety of colors to compliment it. 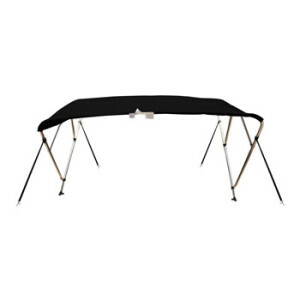 The process of selecting the best bimini tops can be complicated at times, but thanks to Reviews Bee, it has become much easier. We evaluated the best bimini tops and conducted a thorough research of the market, offering you information to purchase a high-quality top for your boat. Boating and fishing are considered to be enjoyable and social activities for many people. But, sometimes the weather has a very unpleasant surprise for us. Imagine a situation when you are fishing and suddenly it starts to rain heavily, in this case can you get soaked or even have it affect your health. But, with water resistant bimini top for your boat, this problem can be solved very easily and you will stay safe and protected. 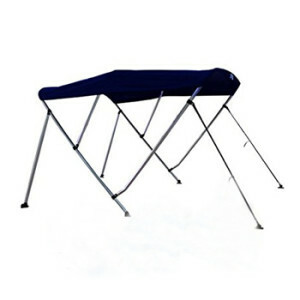 Thus, you should opt for quality bimini top, that provides a high level of water resistance. To measure the exact water resistance level of the top, see how much water can bead and roll on its surface. This attractive feature deserves your attention, because when you are boating, you will be spending a lot of time out in the open, so the choice of bimini top with water resistance is vital for having good excursions. Today you have access to a wide variety of bimini tops made of different fabrics that offer water resistance. To begin with, let’s refer to the meaning of fabric breathability. We can discover the level of breathability of a fabric when we consider how easily the air is able to pass through the fabric. This is a vital feature of a good bimini top, for in case you fail to choose a breathable fabric, it will cause unpleasant things, such as mold or mildew. This is not something you want to happen to your top. Generally speaking, choosing a fabric that is 100% cotton can be a wise decision, because it offers an enhanced level of breathability. Products made by Sunbrella are a worthy option for anyone who wants to obtain breathable fabric for the bimini top of their boat. One of the major advantages of this specific item, is that you can use it for a long period of time, because it features the warranty of ten years. This is alluring for consumers since it implies durability and longevity of the tops. Sunbrella bimini products are perfect for blocking out ninety-eight percent of the sun’s harmful rays. That’s quite a promise that not all other manufacturers can make about their bimini tops. Ultima™ fabric is considered to be a high-quality fabric with mold and mildew resistance and is made of a urethane-coated polyester. Hot Shot™ fabric, which is made of an acrylic-coated polyester, provides mildew and has UV resistance. Furthermore, it offers high levels of efficiency in different climates. Marine vinyl is regarded as a traditional marine fabric that is quite easy to clean and possesses great strength. As a boat owner, you will need a bimini top fabric that is breathable, as well as having the capability of withstanding the challenges typical of a marine environment. If you don’t obtain the highest quality product, it is likely that your bimini top will tear, mold, or fade. 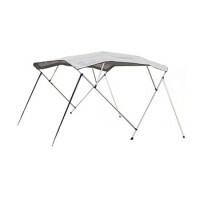 This would make any consumer conscious of wanting to choose the best bimini top after investing their time and money. UV protection is among the most essential issues to consider before making your final decision on which top to purchase. UV protection refers to the ability of your bimini top to provide efficient protection from the sun’s rays. Since boaters are in the open outdoors, they can’t avoid the sun, without going below deck, or having a proper covering. Having a high level of UV protection can be a benefit for you while you are still in the sun. Of course, feeling the sun shine and relaxing under it, while boating is pleasant, but things change when it becomes oppressive. The intense heat can do a lot of harm to your health. You can get sun burned and it can even be the reason for various skin diseases. In other words, UV rays are extremely dangerous and you should find a way to escape direct sunlight, while enjoying your boating experience. Fortunately, thanks to the UV protection featured on some of the bimini tops, one can feel safely covered, thus reducing the risk of getting sun burned. Most importantly, due to this shade, your family members, friends and the other passengers on your boat will also be protected. It is believed that this protection will guard against getting skin cancer. It is well known that being in the direct sun for long periods of time under harsh UV rays, may at times cause skin cancer as well. It would seem that purchasing a good bimini top with UV protection, is a feature worth exploring to help you avoid prolonged exposure to the harmful sun’s rays, yet experience unforgettable boating moments. If you are in humid atmosphere very often and want to obtain a bimini top for your boat to be properly protected from harsh marine conditions, then mold and mildew resistant bimini tops are best for you. Most boat tops could really use the added protection of product that is also resistant to mold and mildew, along with other options. Today, the majority of high quality bimini tops have this mold and mildew resistant feature, since it well sought after by consumers. Mold and mildew grow very rapidly, especially in humid and damp places, and can frequently be found not only on the exterior, but also on the interior of your bimini top. This means that you should check the specifications of your bimini top and ensure that it is mold and mildew resistant. When you make such a costly investment in your boat, the last thing you want to see is unpleasant mold or mildew that has accumulated in a short time. 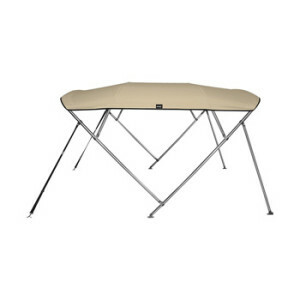 The added cost to the bimini top is definitely worth it. Spend your money wisely and get the best bimini top for your boat and the environment it sits in. You won’t be disappointed! The total Reviews Bee rating sums up the overall picture of every product. Reviews Bee works tirelessly to ensure that we are providing the best product recommendations to you and your family. 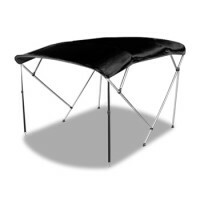 In rating the various bimini tops available, we strive to give you the best information possible.Our algorithm includes information from both expert and consumer resources. There is no need to spend hours on researches, because Reviews Bee instantly gives all researches and analysis for you and creates a Top list to save your time and money. 2. 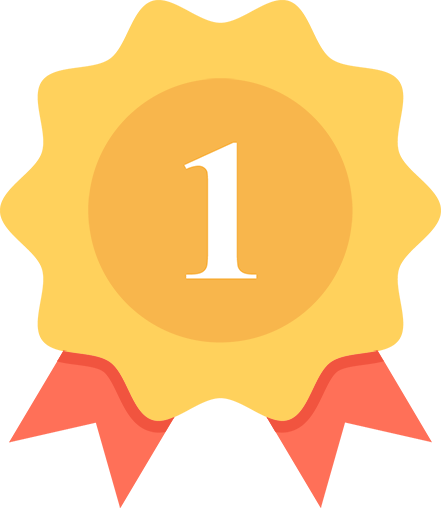 We Analyze the Data Expert Popularity Score, Expert Ratings, Consumer Popularity Score, Consumer Ratings and Consumer Complaints are inserted into our algorithm in order to calculate our Reviews Bee Score. 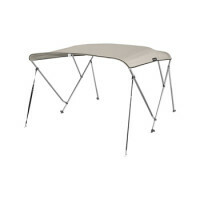 This score, in turn, is used to rank each bimini top in our Top 10 recommendation. The Reviews Bee score is a summary of each of the most important factors indicating the value of a bimini top. 3. 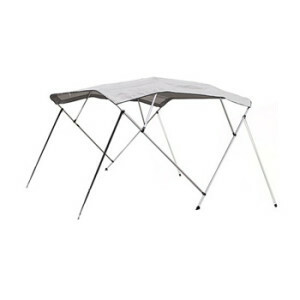 We Deliver The Best Results By taking each of these essential factors into account, we are able to give each bimini top an overall Reviews Bee Score that ranks each product against the others in our Top 10 list. By using a vast array of expert and consumer ratings, reviews, and feedback, Reviews Bee provides you with the most comprehensive analysis of product information available to you. You can make your purchase knowing that the best research was utilized to make your decision. We came up with the popularity score for every bimini top provider while analyzing 24 expert sites that are trustworthy. 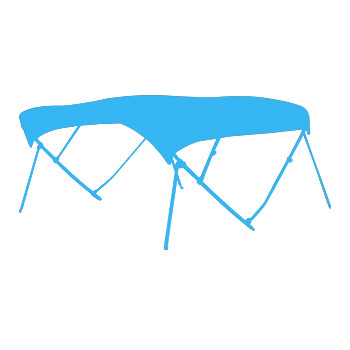 Based on our detailed evaluation, each bimini top is assigned an expert popularity score based upon how many times each product is positively mentioned by experts in the industry. By analyzing all the expert review sites our algorithm summed up the average ranking for every bimini top in their rankings and that is how we came up with the final score for each bimini top brand. We managed to gather more than 7850 reviews from 88 reliable sources and our algorithm calculated the average score for each brand. In order to understand how satisfied those consumers were, we analyzed the total number of reviews. We collected all the reviews and the number of stars people gave for each product. Based on these findings we came up with the average customer rating. 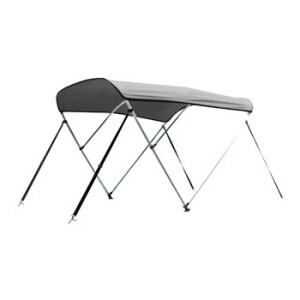 This is how we managed to bring out the bimini top reviews through which you know how the consumer can rate the bimini top. Through this, we show both sides of the product whether it’s positive or negative in nature. This then makes it a negative factor in our algorithm. This as a result makes the best bimini tops reviews. 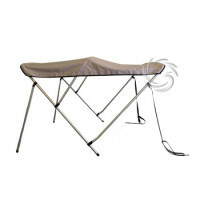 That is why bimini tops reviews not only have positive comments mentioned but also the negatives as well.